It is important to note that determining whether or not a permanent establishment exists is not always easy, and it is enough for the foreign company to dispose of premises in Spain at its disposal, irrespective of the legal title to use it, or that the employee has and habitually exercises powers to contract in the name of the non – resident company. Tax consequences deriving from teleworking for non–resident companies. Expert tax advice is required in order to understand how to fully comply with the Spanish tax authority´s (DGT) regulations regarding withholding employee taxes. 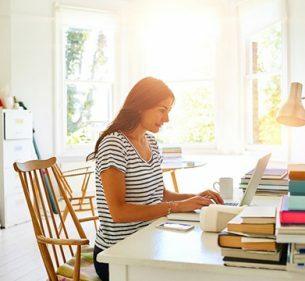 In recent years, habitual remote work from home has significantly increased. Thanks to the use of new technologies, it is an optimal route to reduce office – renting costs for companies while it also saves time for employees. As in any change of trend in our economy, it is strongly recommendable to analyse the tax consequences deriving from this new modus operandi followed by many companies. In a recent binding consultation, of Dec. 27, 2017, the Spanish tax authorities (DGT) differentiate, in relation to a non – resident company, its Payroll withholding taxes obligations as regards its employees, depending on whether or not the non – resident company performs an economic activity in Spain. The GDT offers a solution that, although it may look simple at first sight, it requires expert tax advice in order to accurately conclude about it. ✔ In its binding consultation number 3286 – 17, the General Directorate of Taxes (GDT) analyses whether there is any Payroll withholding tax obligation with respect to two employees, tax resident in Spain, that are to work from their homes in Spain, without the need of their physical presence at the centre of work, a practice that is known as telework. The employer company is tax resident in Ireland (it could be any other country with double taxation treaty signed with Spain) and it does not perform any activity in Spain or have any branch, agency or any other type of establishment in Spain. Employment income deriving from teleworking, from a private domicile in Spain, even if the result of the work benefits the Irish company, and as the employees are tax resident in Spain and exercise their employment in Spain, is only taxable in Spain. The Irish employer, as it does not have any permanent establishment or develop any economic activity in Spain, and it does not obtain any taxable income in Spain from which the payroll expense may be deducted, is not obliged to practice any Payroll withholding tax. the performance of an economic activity in Spanish territory without a permanent establishment. It is important to note that determining whether or not a permanent establishment exists is not always easy, and it is enough for the foreign company to dispose of premises in Spain at its disposal, irrespective of the legal title to use it, or that the employee has and habitually exercises powers to contract in the name of the non – resident company. Given that a permanent establishment implies the right of the country where it is located to tax profits deriving from its activities, there might be a certain interest from the local authorities to consider that it does exist in its jurisdiction. Consequently and given the increase of these scenarios in which the company maintains a minimum structure, it is convenient to first determine which are the Spanish tax consequences for the type of activity to perform in Spain so as to conclude on the Payroll withholding tax obligations with respect to the company’s employees. Split payroll: where international employees pay social security contributions?